During the early nineteenth century Alexandre Brongniard, the director of the Sevres Porcelain Manufacture at the time, set up the Sevres Ceramics Museum (Musée National de Ceramique de Sevres) to showcase the history and craftsmanship of the Sevres company (considered to be among the finest makers of ceramics in the world). 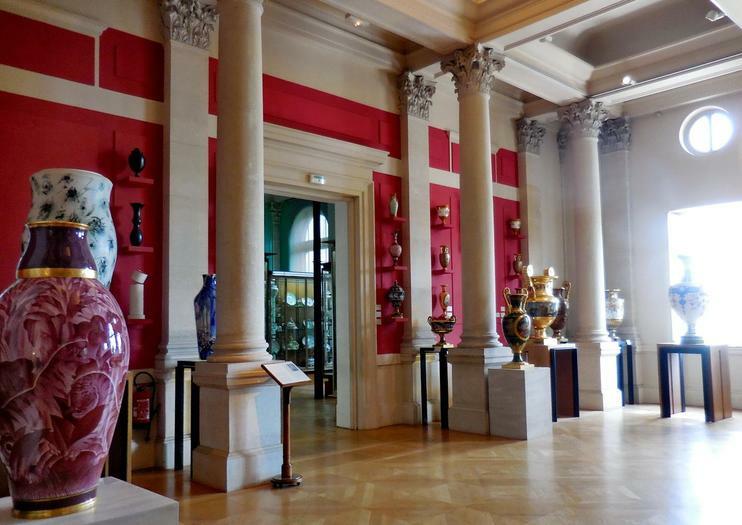 Today the museum on the banks of the Seine houses a collection of more than 50,000 ceramic pieces (one of the largest collections in the world) highlighting a variety of countries, periods and techniques. Only a fifth of the collection sits on permanent display to the public. The museum is divided into theme galleries, including Ancient Greece, Chinese and Islamic ceramics, Moorish earthenware, Raku Japanese and Korean stoneware, contemporary ceramics and a collection of works by Luca della Robbia. Njut av fri entré till mer än 60 topp Paris attraktioner med Paris Pass-ett flexibelt sightseeingpass som låter dig besöka de platser som intresserar dig mest. Dra nytta av hoppa över raden till parisiska showstoppers som Louvren och Centre Pompidou, och dra nytta av fri entré till Versailles slott och mer. Välj mellan ett 2, 3, 4 eller 6-dagars pass Alla inkluderar extra gratis sightseeingturer och obegränsad kollektivtrafik på vissa tjänster. Hop-on hop-off biljett gäller 1 dag.